Along the edge of the Amazon rainforest, the mulheres quebradeiras or ‘women who break nuts’ fight for the right to harvest and process a valuable natural resource using traditional methods that are still far more effective than modern technologies. In the yard behind her brick-and-adobe house on the outskirts of Imperatriz, Maranhão in northeast Brazil, Naza has a lean-to shelter covering a stove; next to it is a large pile of dark nuts, each about the size of a tennis ball, cocos de babaçu, which grow on the babaçu palm tree indigenous to the region. Naza sits, legs splayed, holding an axe on the ground with its blade pointing upwards. Placing a nut on the edge of the blade, she delivers two sharp whacks to the shell with a wooden baton, then spins the nut and strikes again. The shell falls neatly in two. Another whack and it is in four, and Naza plucks the tiny kernel, intact, from the centre. Breaking the nut is more than just technique, and it is not just an identity. It is an expression of economic freedom and an insurance policy. The quebradeiras who fought the early battles for self-determination and land rights in rural Brazil insist that the new generation should maintain the skill, so that they have the choice to go back to the land if all else fails. It takes 225 kg (500 lb) of force to crack a coco de babaçu, and it is a precise task. Experienced quebradeiras—nut breakers—can dismantle the nut in under a minute, their fingers dangerously close to the sharp blade and the darting baton. It is a skill that is tightly woven into their sense of identity and community, a sense which has bound them together during decades of human rights conflicts, supported them in lean economic times and rooted them to the land. Today they are facing a new fight, as northeast Brazil becomes the focus of a new agro-industrial initiative that threatens to sweep away their forests and their livelihoods. In response, the quebradeiras, both old and young, are organising, protesting and modernising to make the political, social and economic case for preserving the babaçu forests. The cocos de babaçu are a vital part of a culture that predates the colonial period by centuries. Indigenous communities taught the use of the nut to Portuguese settlers and to the quilombolas, former slaves who escaped into the forests. The kernel is roasted and crushed for its oil, which is used in cooking, soap and cosmetics. The white pith or ‘mesocarp’ inside the nut is pounded into a nutritious flour to make porridge, while the shell is burned for charcoal. Babaçu palm forests spread for miles across the ecological belt between the rainforest and the savannah. They are thickset trees, rising on heavy trunks to splayed fern-like leaves, hung with clusters of nuts that look like giant bunches of grapes. In some municipalities, quebradeiras have the right—often hard won—to access babaçu palms wherever they grow; in others they simply go anyway. The energy-rich shell of the coco de babaçu makes excellent charcoal, and some landowners have taken to burning the nut whole, which borders on sacrilege to the quebradeiras. The quebradeiras have a deep emotional attachment to the babaçu that verges on kinship. They call the young trees ‘children’, and older trees ‘grandmothers’, and they say that the trees have a lifecycle that mirrors their own, becoming productive in their late teens and bearing fruit until they are around 40 years old. The anthropomorphism lends an extraordinary pathos to their stories of conservation and conflict with landowners and ranchers who cut down the trees or spray them with pesticide, ‘poisoning the children’. The importance of the babaçu, however, is more than sentimental. 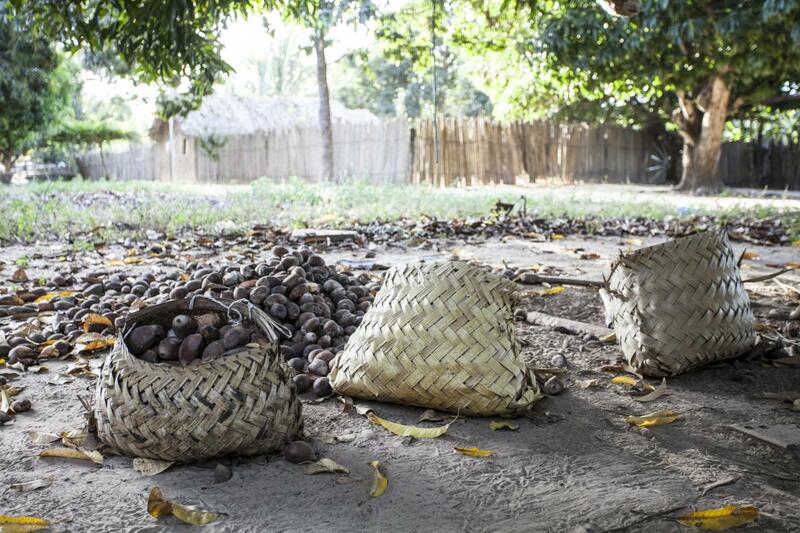 The nuts have often meant the difference between starvation and survival for rural communities living under the quasi-feudal system that persisted in Brazil into the 1980s. Until populist land reform policies started to give rural communities power and rights, huge areas of the country were given over to wealthy ranchers and farmers who had near-total economic control over the people who lived and worked in the countryside. Tenant farmers had to work for landowners, often for free, as well as pay rent in crops. Collecting and breaking the cocos de babaçu for sale or domestic use afforded at least some scant breathing space to families below the poverty level. Babaçu oil is a highly valued commodity locally, selling for between 8 and 12 reaís (€1.8 – 2.7 or US$ 2.00 – 3.00) per litre. It was also once a major export product for Brazil (this in spite of the fact that attempts to mechanise the production process have largely failed, and the only reliable way of achieving a clean separation of the kernel from the shell is the traditional technique of the quebradeiras). During and between the World Wars, the global powers competed for the rights to buy up the crop to mitigate a shortage of edible oils back home. It is only over the last two decades that it has fallen out of national development plans, according to Professor Alfredo Wagner from Maranhão State University, who says that even in the 1980s the military junta that ruled the country drew up maps of the babaçu forests to better understand their economic value. Today, the Brazilian government faces a slowdown in economic growth due to the collapse in Chinese demand for its minerals. Its solution is a massive expansion of its agro-industries, the soy, timber and palm oil plantations that have created huge wealth across the nation, often at the expense of its ecology and indigenous communities. A new initiative, named MATOPIBA after the four states that it will encompass, Maranhão, Tocantins, Piauí and Bahia, intends to redraw the agro-industrial frontier, setting aside 73 million hectares (281,850 sq. mi) of land for development. Of that, 27 million hectares (104,250 sq. mi) is babaçu forest, which the government has declared ‘secondary forest’, distinct from the Amazonian ‘primary forest’ that it has promised to protect. The babaçu are barely acknowledged on the official maps and plans documenting the programme. They are doing more than just making noise. More than 900 quebradeiras and community members across the four states of MATOPIBA have worked with Wagner at Maranhão State University to map the babaçu forests from the ground up, disputing the official maps that have erased their livelihoods from the records. At the same time, they are working on creating a compelling case for embracing nut breaking as a creator of jobs and wealth by modernising the processing stage, rejecting the government’s vision of development in favour of one of their own. On the outskirts of Esperantina, a small town in Piauí, a quebradeira cooperative is building on the infrastructure that was once used to oppress the rural poor. Into the 1980s, the house that now forms their meeting rooms and kitchen was occupied by a local rancher who extracted extortionate rents from the families that lived on his land, demanded that men labour unpaid on his fields and sponsored violence against anyone who agitated for rights. Seventy-five-year-old quebradeira Francisca Rodrigues dos Santos remembers going to the house to sell nut kernels to him, being paid in chits that could only be exchanged at a store he owned. She also recalls, with a mischievous gleam in her eye, the moment when the women discovered their landlord was himself a mere squatter on the land. The cooperative has built a small processing facility attached to the old house, its tiled walls still gleaming white. Inside, blades, huge pestles and mortars, grinders and an industrial oven are used to produce mesocarp flour for packaging and branding. The cooperative collects cocos from local quebradeiras, processes them, sells the product and pays back to its members. It has already won contracts to supply the local school system, and they are bidding for bigger deals. Across the state, and neighbouring ones, people will confide—some proudly, some sotto voce — that their mothers were quebradeiras, and often that they, themselves, know how to crack the nut. The last generation of quebradeiras, politically potent as they were, were largely uneducated. 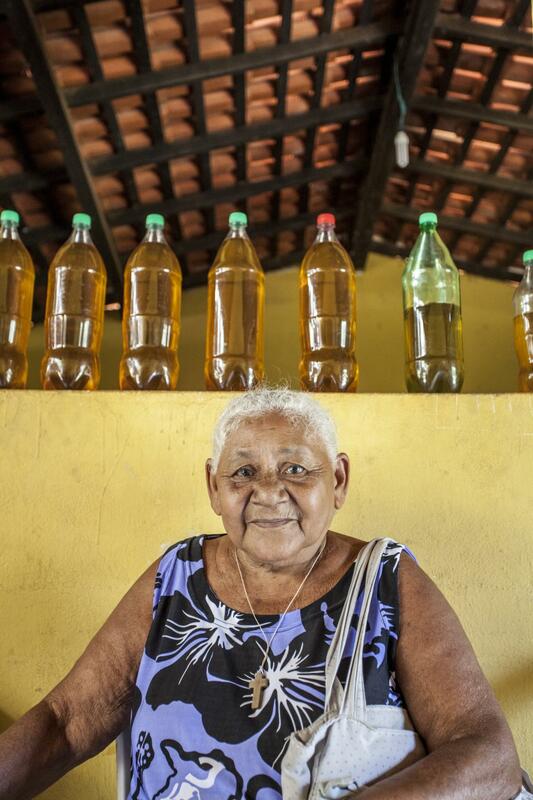 Their children are economists, agronomists and businesswomen, their education paid for by the cocos de babaçu, with one foot in their mothers’ traditions, the other in Brazil’s modern economy. Peter Guest is a journalist and editor writing about the environment, human rights and economic development. He wrote about the Brixton pound in the previous issue of WTW, and Mars exploration in No. 4.